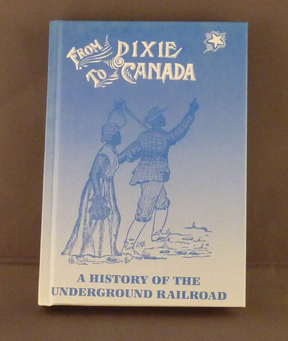 As mentioned in the listing of reproduction books, this reproduction of an 1894 book contains the stories of nine slaves who escaped on the Underground Railroad. The book is based on recollections so some of the incidents have almost certainly been shaded by the passage of years. There are even a copule of incidents where the slaves fled after killing their respective masters. Of course, these incidents as presented in the book present cases of what might be presented today in court as justifiable homicide, e.g., defending themselves from a severe beating from a master who has already beaten another slave to death. But, without passing judgement on whether the escapees are guilty or innocent of crimes, this book does present insight into the methods used by the people who assisted in the Underground Railroad and the efforts of the former slaveholders and slave catchers to catch the runaways. It is also telling in that I haven't found a single incident in my reading so far that even hints of an Underground Railroad quilt.